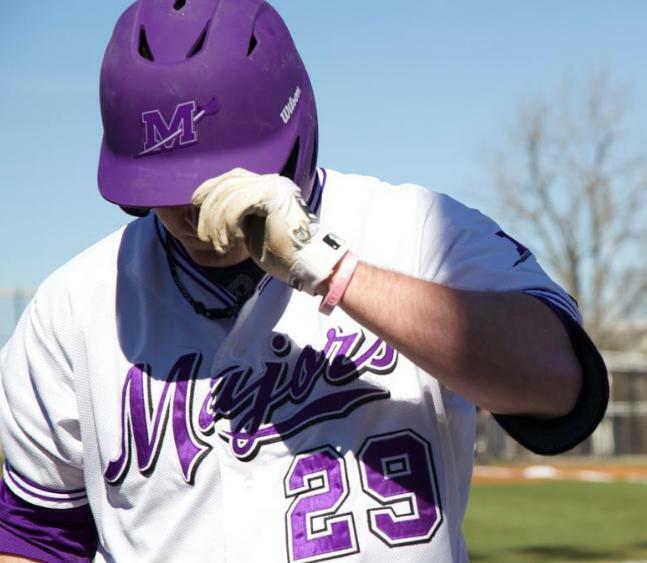 The Millsaps Majors baseball team went head-to-head with the No. 6 Trinity Tigers this past weekend. Starting off the Saturday doubleheader with a loss, 11-2, the team quickly recovered, defeating Trinity 5-3 for the only win of the weekend. Fans surrounded the field despite the ongoing construction, including the “right-field rowdies” who supported their friends both Saturday and Sunday. Keith Shumaker pitched an impressive total of seven innings and William Chenoweth finishing out the game—the two allowed only three runs between them. Despite an extra two innings and extraordinary effort from the Majors, Sunday brought in another loss, this time 13-10. Although the weekend saw more losses than wins, the team played well offensively as a whole with a total of 31 hits for the whole weekend. Stephen Gates is the team’s lead hitter for the season, with Shumaker and senior first basemen Andrew Rafferty both having an exceptional weekend batting as well. “Trinity is one of the best pitching staffs in the nation, which shows promise for the upcoming Major season,” said Chenoweth, who is a right fielder in addition to pitcher. Freshmen pitchers James Perkins and Matt Lipman stepped up in the Sunday game to show their potential in pressure situations. The two freshmen will continue to add to the programs strong pitching staff during the 2014 season. The Majors play at home again Feb. 25, taking on the Mississippi College Choctaws for the first time this season.